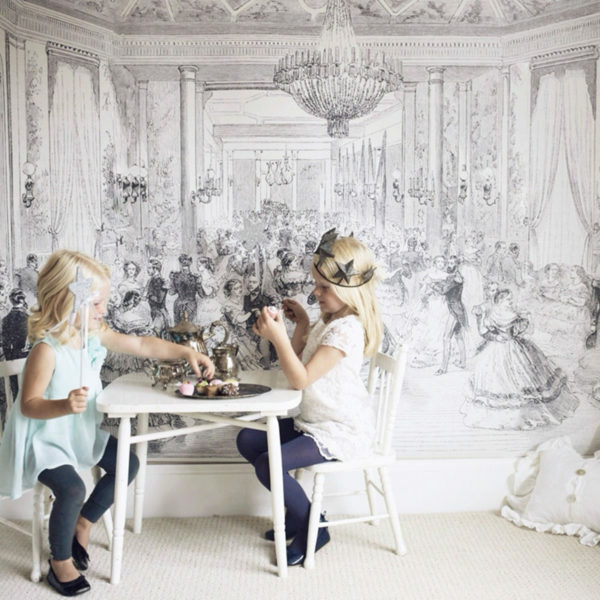 8 wonderful wallpapers to transform your child's space! 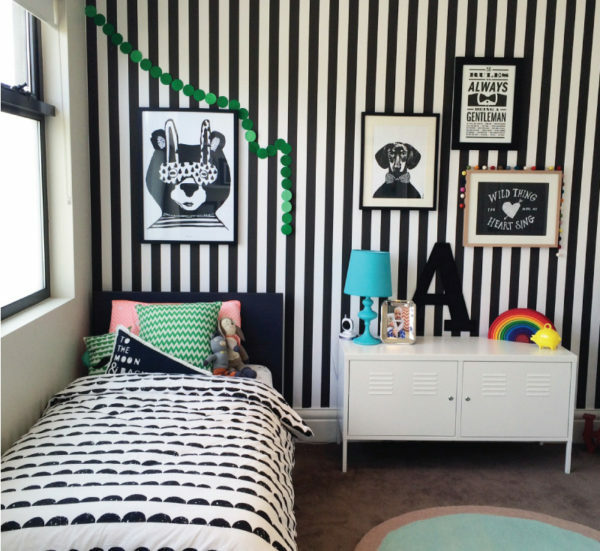 8 wonderful wallpapers to transform your child’s space! It’s been given a bad rep in the past, but it appears parents of today are willing to give wallpaper a second chance. Far from old-fashioned, here’s five wonderful wallpaper brands that will have you gluing up your wall quicker than you unroll the awesome paper! Natty and Polly host an overwhelming collection of gorgeous wallpapers. You’ll find everything from vintage style to modern and geometric here, including the fabulous Clouds (pictured top, $110 a roll) and this sweet Lilleby print dotted with birds and cherries. A 10 metre roll is priced $125. 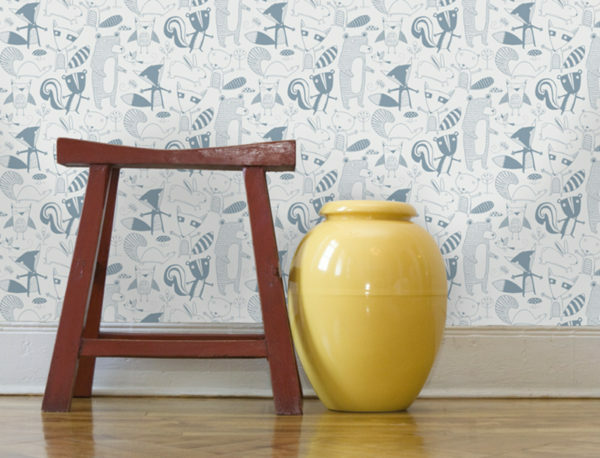 If glue isn’t your thing, don’t panic – you can still get in on the wallpaper trend with self-adhesive wallpaper. 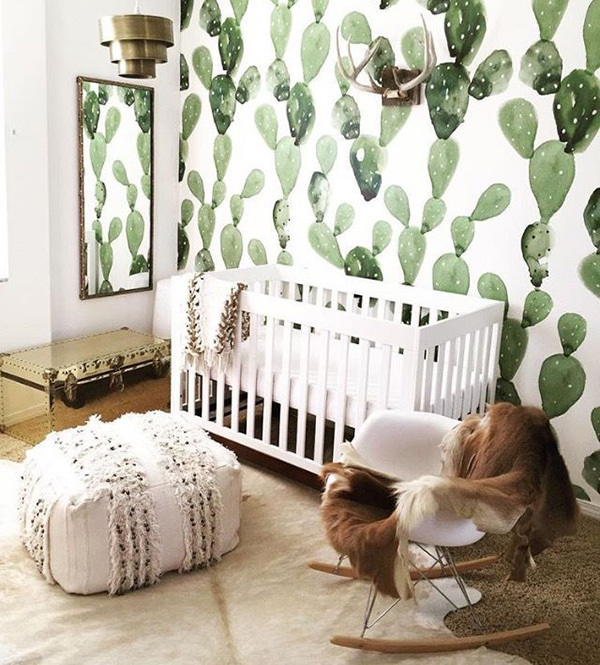 For adding an element of all things fun and fresh to a room, I adore this Watercolour Cactus Wallpaper from Anewall. CAD$419 for 3.5m x 2.7m coverage. Also from Anewall, an amazing Ballroom Dance Vintage Mural. Perfect for a dance loving family, it can be yours for CAD$369. 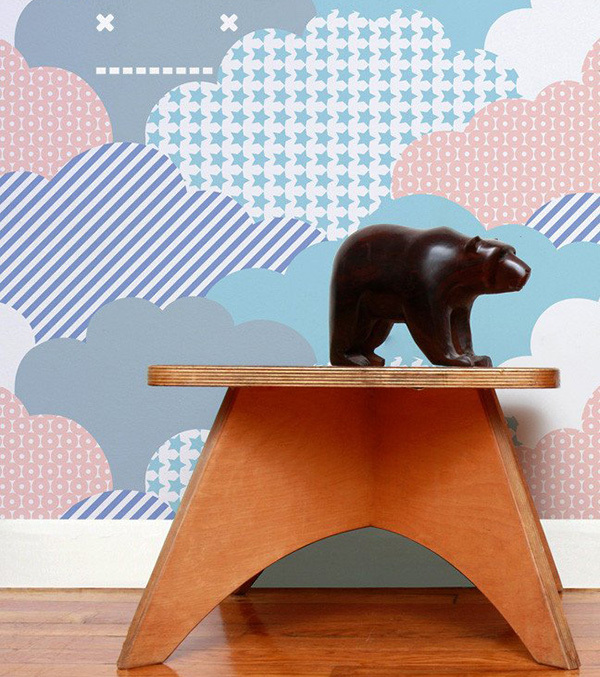 From Aimee Wilder, her signature Clouds pattern wallpaper is a delight to feast your contemporary graphic pattern loving eyes upon. Priced (US)$175 a roll. Install a brilliant World Map Mural for children to plot their future travel adventures! Priced from $445, you can order direct from The Wall Sticker Company. Oh the places they will go! Be still my all-things-cute loving heart! 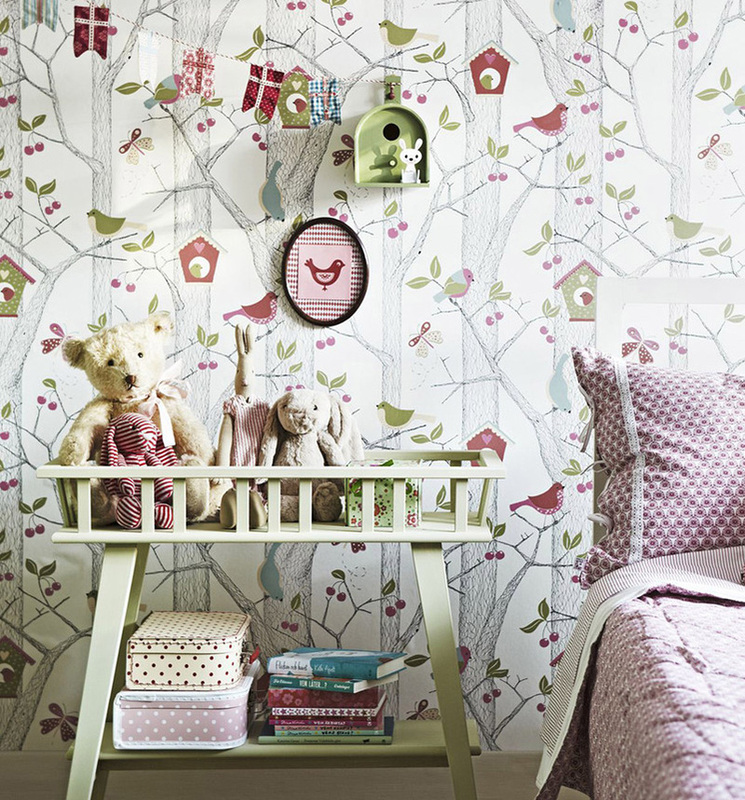 Loboloup Friendly Forest Wallpaper is absolutely adorable, perfect for the nursery. It goes without saying, raccoons, skunks and bears have never looked more endearing. $295 a roll from Just Kids Wallpaper. Love a stripe? Available in over 120 colour choices, I adore the dramatic monochrome Stripes Wallpaper – a design that will most definitely withstand the test of time. Easy to apply, self-adhesive rolls are priced from $89 each from The Wall Sticker Company.